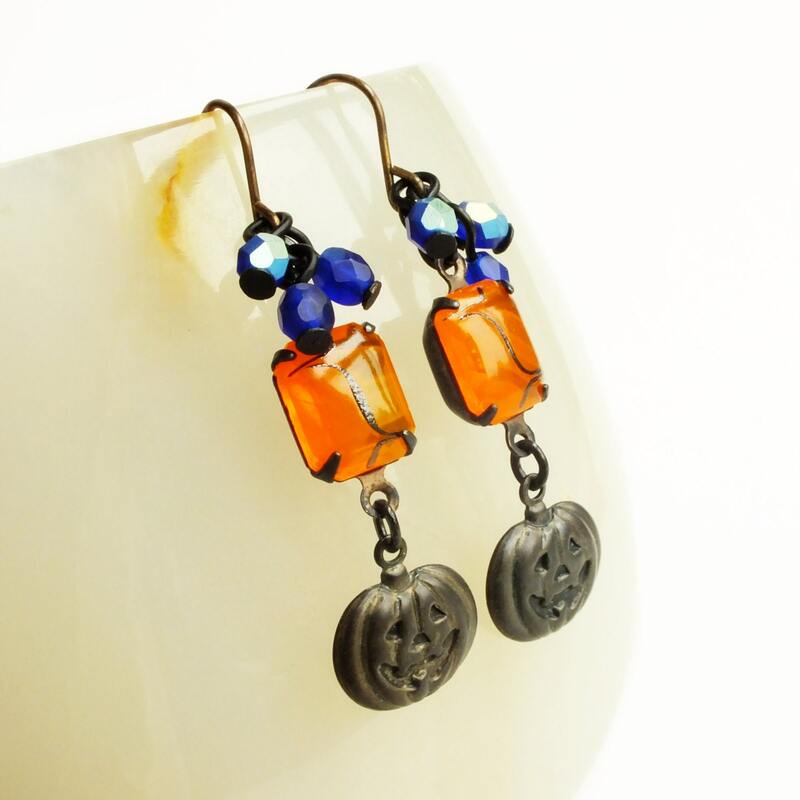 Handmade orange Halloween pumpkin earrings with black brass charms and vintage orange rhinestones. 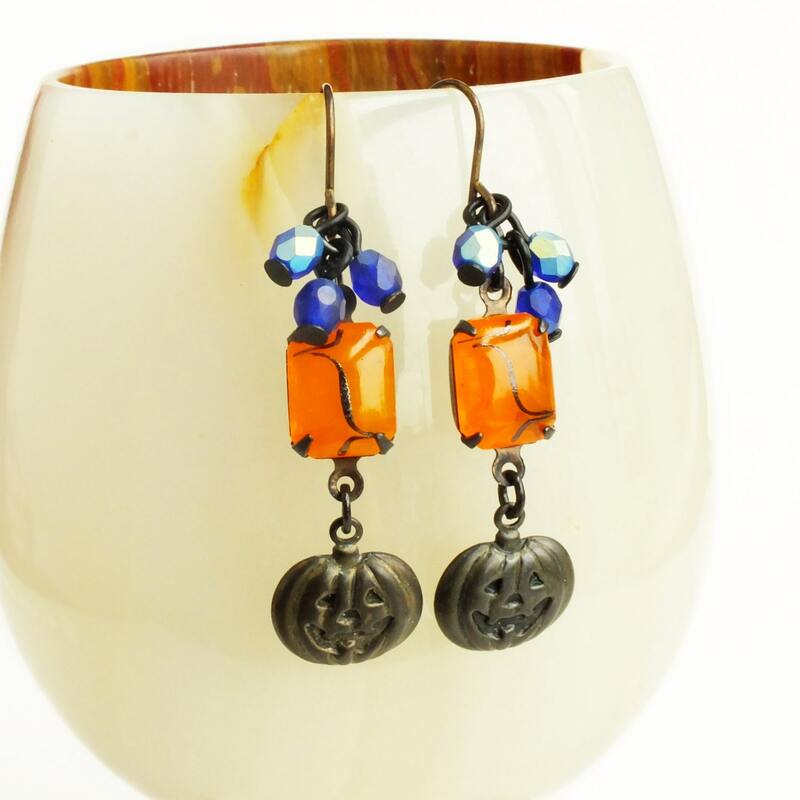 Genuine vintage glass rhinestones and brass charms. 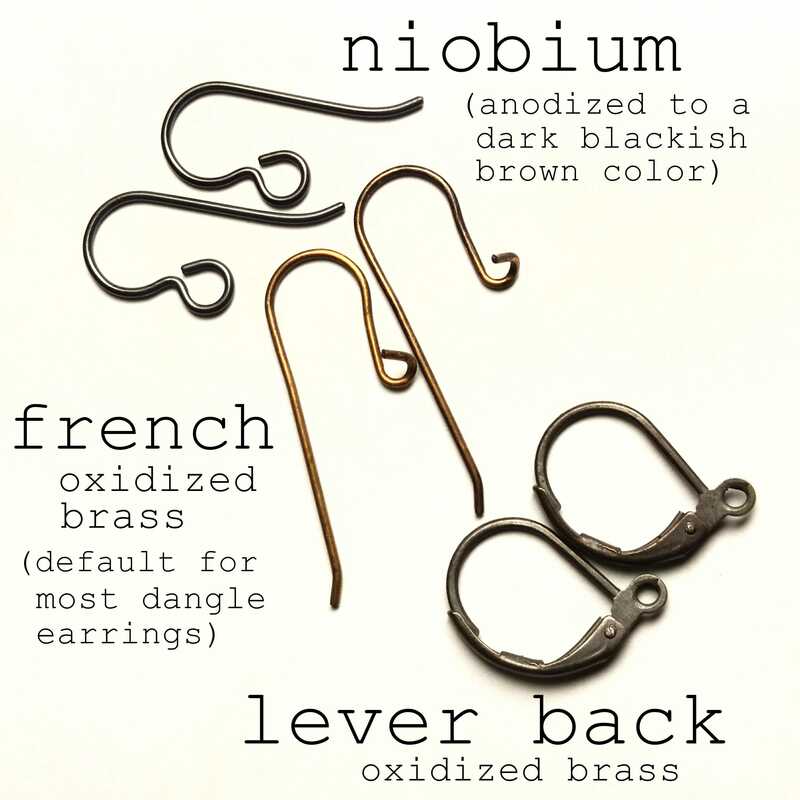 Oxidized brass US made ear wires. 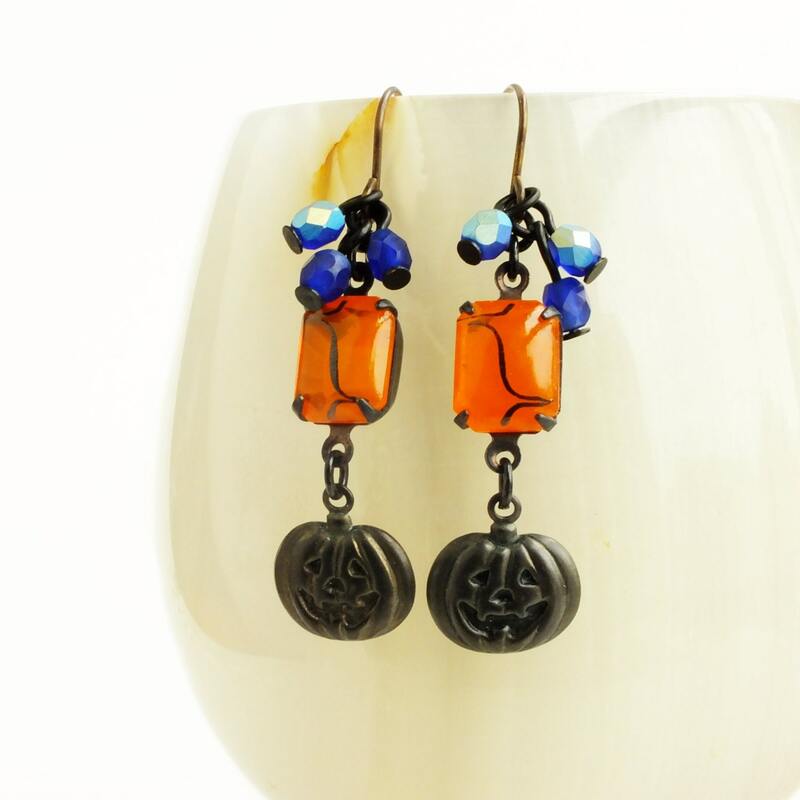 Just under 2 inches - 5 cm long. 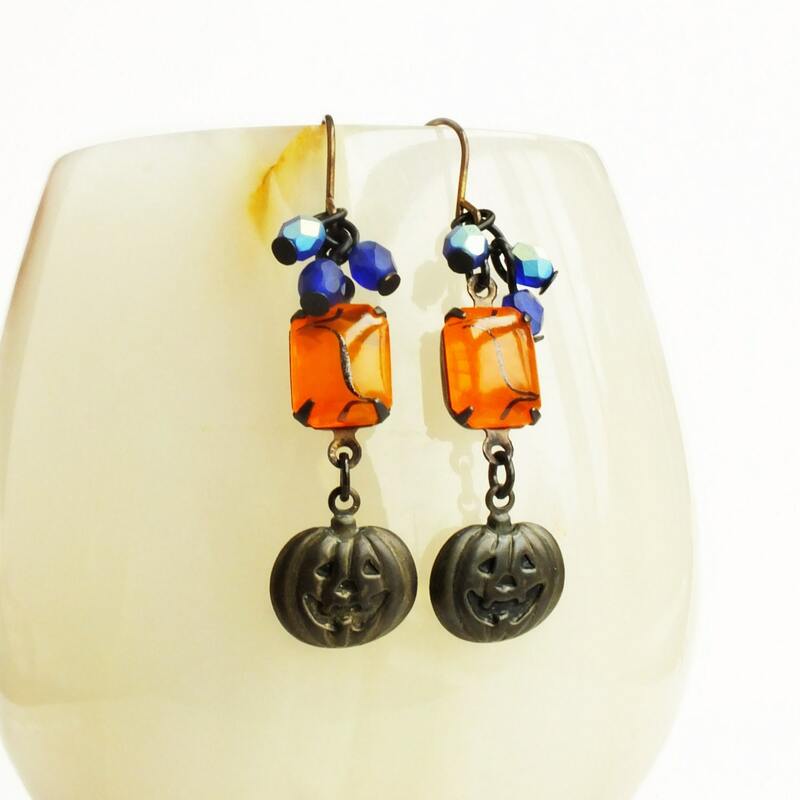 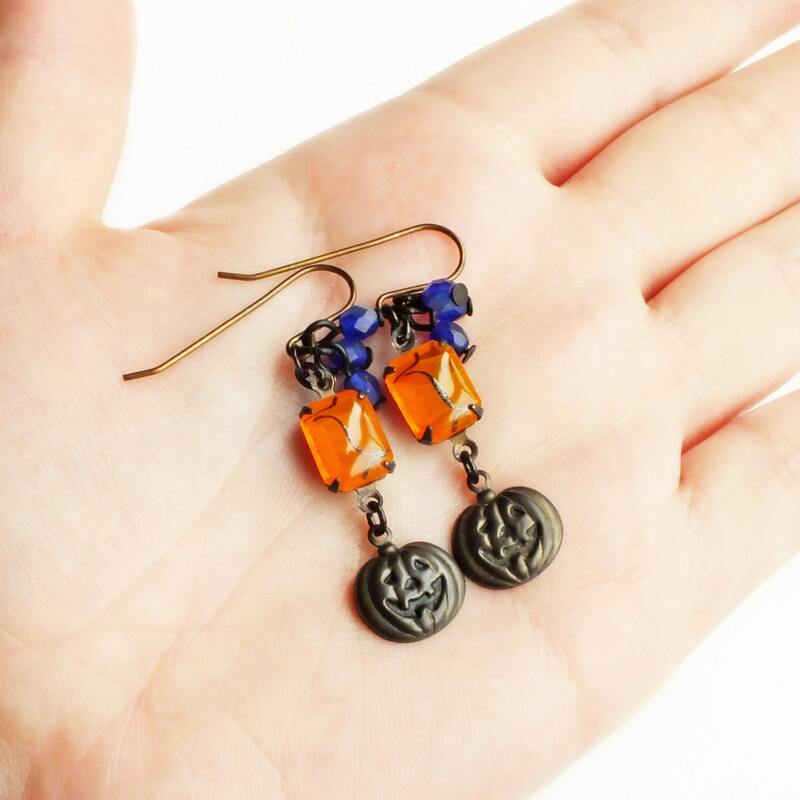 Victorian Halloween earrings made with vintage antique brass pumpkin charms adorned from glowing vintage orange glass Art Deco rhinestones and iridescent Sapphire blue Czech glass beads.